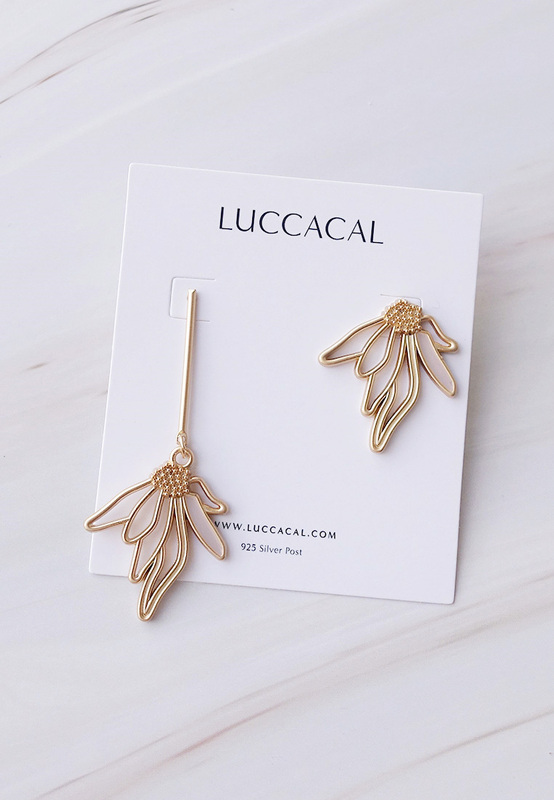 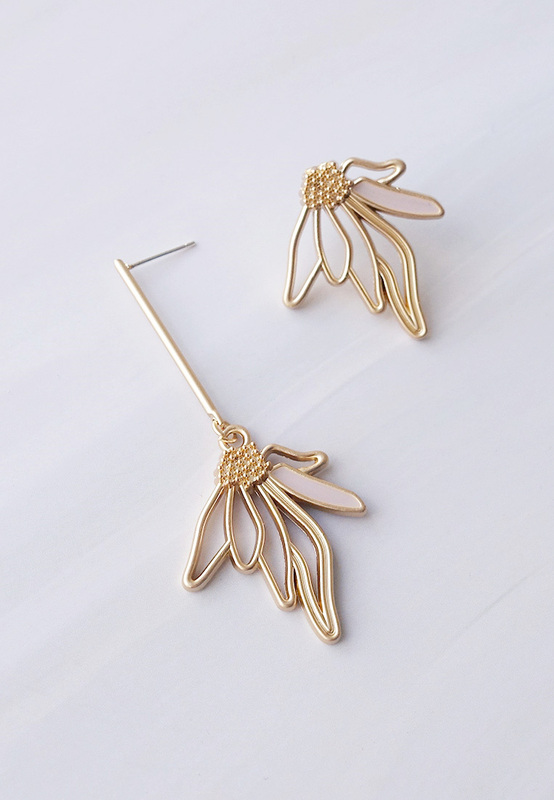 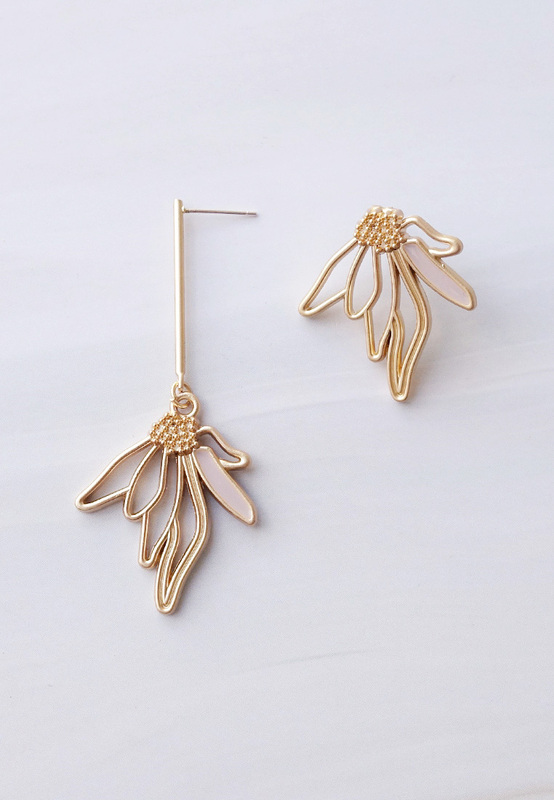 Handcrafted in Korea, this purposely mismatched earrings showcase two matte-gold flower-shaped drops on 14k gold-plated brass. 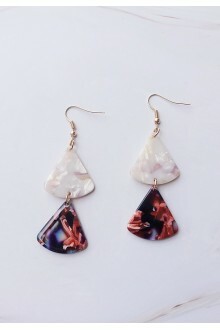 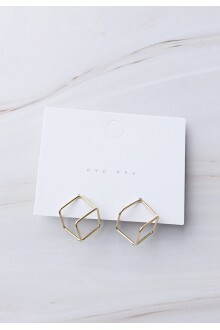 DetailsA celebration of the beauty of three-dimensional forms, this cubed 3D Square earring hovers o..
DetailsGet ready to fall in love with the Rosie Romance Resin Earrings. 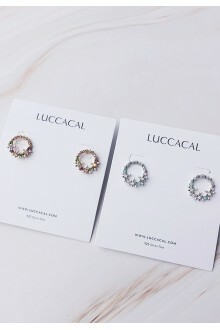 Delightfully abstract, ..
DetailsMulti-colour crystals are handcrafted into dainty floral wreaths, resulting in a beautifully ..